It’s First Draft! 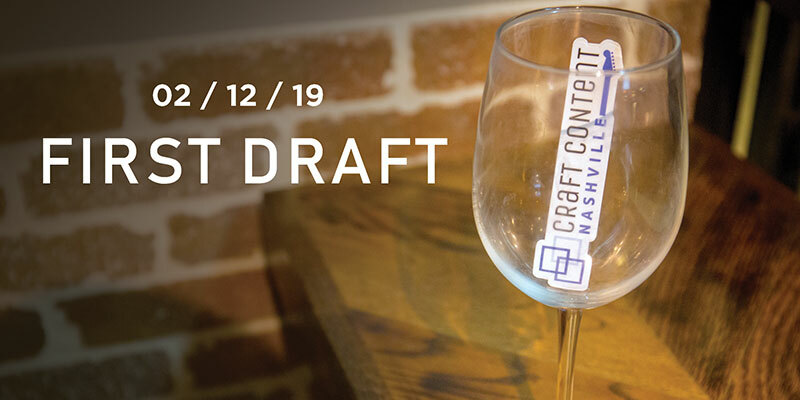 Our February Craft Content Nashville Happy Hour will also celebrate the opening of the call for proposals for speaking at our annual unconference and will be from 6-8 p.m. on Tuesday, February 12, at a location to be announced. Join us for a beverage (and free appetizers while they last!) while networking and catching up with fellow content professionals and mingle with event organizers, potential attendees, and aspiring speakers. We’ll also be sharing details about this year’s unconference, including how to propose a session and how to get involved. We’ll have a short panel conversation beginning around 6:30 featuring past CCN speakers and moderated by our speaker coordinator, Todd O’Neill.